It's my 500th post. This is where you hope for something new and profound, but instead it's like that episode of a sitcom where they do flashbacks to things you've seen a thousand times already. Yesterday the nominees for the 2011 'Bloggies' were announced. Kid In The Front Row is one of the five nominees in the 'Best Entertainment Blog' category. Thank you to all of those who voted for me, I really appreciate it!! You can look at all the nominees here, and you can vote for your favorite blogs. If you want to vote for me, head down to the Best Entertainment Category. It means a lot to me that I've lasted here for 500 posts. What is the Kid In The Front Row? What does it stand for? It's about loving movies, of course. But I think my passion has always been driven by the writing. For me, the writing that really matters, is the writing that is from the heart. That's tough because, so often this industry isn't about heart, it's about making money-- which is why I often find myself detaching myself from the film industry. What impact can we have as filmmakers? is an important question to ask. Some people think we have no impact, we're just a two hour distraction-- whereas I think the scope of our potential influence is unlimited. It's like when Michael Jackson died, I was reminded of just how perfect a legacy of work can be. It's easy to forget that when you're seventeen years old and struggling to be true to yourself. Confidence is such a huge thing. We all have inner critics, but we need to get past them; because after a while you can't blame your inner demons or anyone else - you've just got you jump on the long train journey that is your career, your life; and sail on through all the criticism and rejection, because believe it or not -- even Aaron Sorkin struggles with criticism. It really helps if you find people that get you. When I find someone whose personality/creativity/energy excites or inspires me; I practically throw myself into their lives and make them close friends. So, who are you hanging out with tonight? Don't get too caught up in all this stuff though. Remember what it's really about. It's about sitting in the front row like a little excited kid as you sneak things into the cinema. I guess you could watch the movie's with someone you're attracted to, but it always goes wrong. Keep loving films. That's your job. 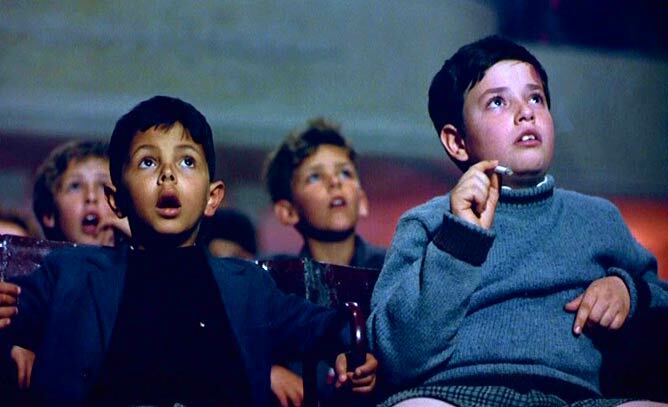 Whether you make films or watch films or whether you're a best boy; just keep going cinema crazy, there's nothing like it. You need to love what you love. It might be beautiful little films like Once or really personal movies like Adventureland, or you could be obsessed with Ginger Rogers flicks. That's your job-- keep watching the things you love. Of course, we all have different film watching patterns. Some people like to compare You've Got Mail with Sleepless In Seattle, some people like obscure Hungarian movies, and others like really moving pictures about history. If you want to make movies. Now is the perfect time to start. You can begin by hunting down your ideas and the begin writing a screenplay. Of course, your creative juices are a bizarre thing, but if you follow the process naturally you'll be fine. And if you're an actor, don't sit around in Starbucks with a new haircut, get out there and do the work yourself. There's so much we can do. And now is the perfect time to have more women in film and more diversity on our screens - there's a whole world of ideas and experiences out there. And in the words of Forrest Gump, that's all I have to say about that. Awesome post! Congrats on 500 posts. Here's to many more. Congrats on the 500th post! I enjoyed reading this, and here's to what looks like more good time. Congratulations on Post #500! Looking forward to many more! Love this. Great post - and congrats on 500 of them! You've inspired me so much and always remind me that being in the entertainment business is something to be proud of and to be embraced. High fives to you, my friend. "Keep loving films. That's your job. Whether you make films or watch films or whether you're a best boy; just keep going cinema crazy, there's nothing like it. " Thank you all. You are so encouraging and inspiring!